On October 25 the Department of Theology and Religious Studies sponsored a panel discussion to mark the 50th anniversary of the opening of the Second Vatican Council, which met from 1962-1965. The 16 documents eventually issued by the Council, the 21st general council in the history of the Roman Catholic Church, have had global impact on the life of the Church and its relationship to other Christian churches, other religions, and contemporary society. Dr. Millicent Feske spoke of the significance of the Council’s openness and ecumenical initiatives for her scholarly work and the professional trajectory that brought her to Saint Joseph’s. Dr. James Caccamo situated the Council’s work in its historical context and outlined how the Council transformed the Church’s relationship to culture. Dr. Philip Cunningham described how the Council changed the Church’s relationship to other Christian churches and other religions, with particular emphasis upon the dramatic changes in the Catholic Church’s relationship to the Jewish people. 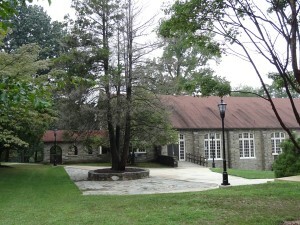 Dr. Katie Oxx described the development of Catholic Studies programs in the wake of the Council. Dean William Madges, who recently published a book to commemorate the golden anniversary of the Council (Vatican II: Fifty Personal Stories), moderated the session. The Department of Theology and Religious Studies intends to host additional presentations and lectures about the Second Vatican Council over the next three years. 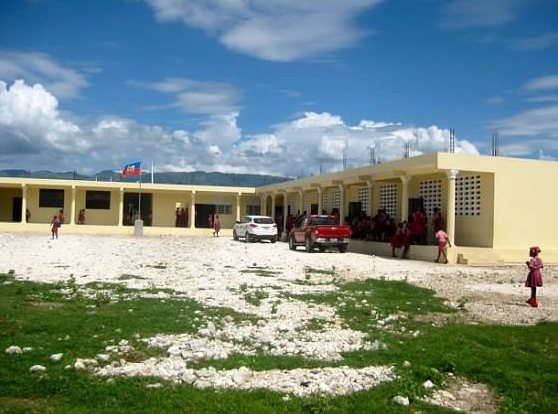 After conducting a needs assessment with Foi et Joie’s staff, SJU Project Haiti decided to commit intellectual and fundraising resources to improve pedagogical practice in Foi et Joie’s schools in Haiti. SJU faculty and staff (Dr. Terry Furin, Dr. Aimee LaPointe Terosky, Dr. Joseph Cifelli, Fr. Samway, S.J., Ms. Evelyn Minick, and Ms. Carold Boyer-Yancey) have visited Haitian schools on four trips, paying for the first trip themselves. 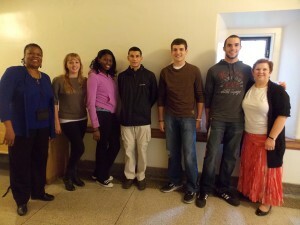 In March 2012 they hosted six Foi et Joie educators on SJU’s campus to continue their collaboration. Project Haiti has raised more than $14,000 to support their activities in Haiti. The Project has also applied for a Raskob Foundation Grant in the amount of $30,000. Embodying the principle of being men and women with and for others, the SJU participants donate their time and talent, receiving no compensation for their efforts to improve education in Haiti. 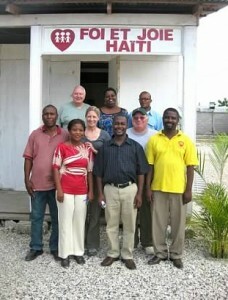 The 2012-2013 goals of SJU Project Haiti include providing FOSS science kits for one to two schools. FOSS science kits provide hands-on applications of science concepts. During their next visit to Haiti, the SJU faculty will work with Foi et Joie teachers and staff to integrate hands-on science learning into their traditional science classes. They will also conduct quantitative and qualitative analyses of the influence of their efforts on the ways in which Foi et Joie educators deliver instruction to their students. The analyses will help the team evaluate and refine their efforts in the Foi Et Joie schools, as well as provide research for publication and presentation at professional conferences. 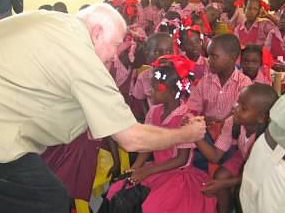 SAVE THE DATE: The annual fund raiser “Hot Dogs for Haiti” will be held on Thursday, January 31st at Noon. Location to be announced. 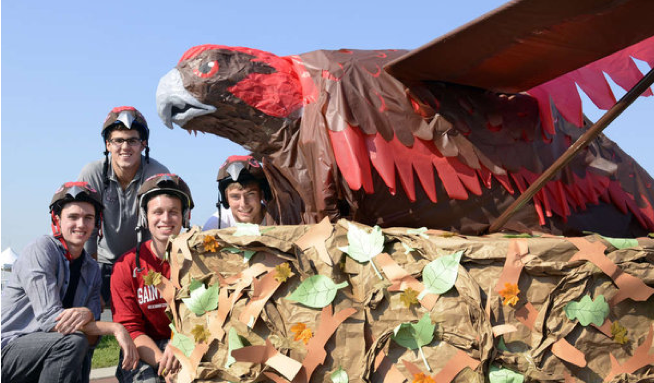 On Saturday, September 15th a team of five Saint Joseph’s University science students competed in the annual Redbull Flugtag festival. 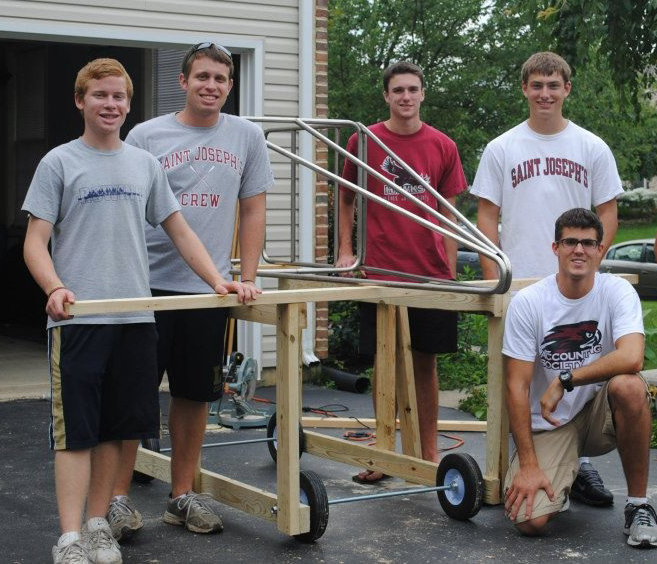 Their team, Team Hawkward, won the People’s Choice Award and placed an impressive third overall in the competition.Team members included sophomore Biology majors Andrew and Nicholas Shafer ‘15, Mark McShane ‘15 and Chemical Biology majors Kyle Smith ‘15 and Daniel Ezzo ‘15. Flugtag, which means flight day, is a yearly event sponsored by Red Bull and held in several U.S. cities. Flugtag began in Vienna, Austria in 1992 and has expanded internationally due to its popularity. This year’s local event was held on the Camden waterfront. Although anyone can apply to participate, only approximately 35 teams are selected for the competition. Teams build their own human-powered flying machines within the allowed specifications and then fly them off an approximately 30 foot pier into the water. The entrants were judged on three criteria: distance flown, the design, and the creativity of the skit performed by the team before their craft takes off. The People’s Choice Award is determined by the number of votes each team gets from the viewers. The flying craft must be built out of environmentally friendly material that can float when the craft hits the water. Team Hawkward got its initial inspiration from brothers Andrew and Nicholas Shafer, who were spectators when the event was last held here in 2010. They decided to put together a team and asked their friends and science hall roommates Mark McShane, Daniel Ezzo and Kyle Smith to join them. 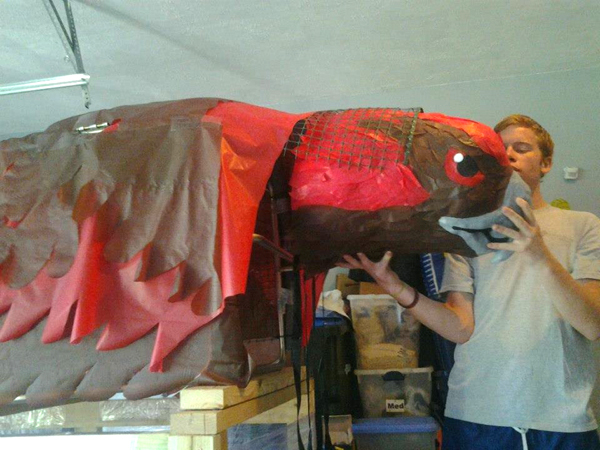 The team spent many long days in August building their Hawkward flying machine. The students said that their flying machine was built from a stainless steel base acquired from Kyle Smith’s father and designed using parts from Home Depot. They didn’t want any professional help. “The whole point is to make your own invention and see how it works,” McShane said. One of the most challenging aspects for them was adding the Hawk head. The team said that building their aircraft was “a challenging yet enjoyable experience that really helped to build team chemistry for the competition.” Their Hawk costumes and routine for the skit were designed with help from Nicholas and Andrews’ mother. On the day of the event at the Camden waterfront, thousands of fans lined the Delaware River flight deck, including many Saint Joseph’s University students and supporters. When it was time for Team Hawkward to perform, they received a loud ovation for their one-minute Hawk routine. They pushed their aircraft off the flight deck and it soared 60 feet before touching water, which tied for the longest distance in the competition. Team Hawkward wasn’t able to fly with their aircraft because the wind conditions had picked up by the time they were to fly. However, they did get to jump in the water with their aircraft after it landed. At the awards stand, Team Hawkward pocketed two trophies for their third place overall finish and the People’s Choice Award. In addition to their awards, the students received a sizable gift certificate to local Philadelphia restaurants and a first class trip to see a New York Redbull MLS soccer game. The group said that this was a memorable experience that they won’t soon forget and that they would never have won the award without the teamwork and friendship formed by being together in the science hall. Congratulations to this enterprising team of young Hawk scientists! Dr. Aimee LaPointe Terosky is a research team member of a National Science Foundation Advance grant that is investigating ways in which institutions can better support and retain women faculty. The NSF grant in the amount of $250,000 received matching funds from the University of Maryland. Presently, Dr. Terosky is conducting interviews with female full professors at a major research university to better understand the supports, strategies, and constraints facing women faculty, especially women in underrepresented fields. Moreover, she is conducting focus groups with female associate professors at the same institution to examine why associate professors rank lower on faculty satisfaction surveys than any other rank. In the focus groups, she is assessing if participation in faculty development around career advancement is benefiting associate professors’ sense of agency in career advancement. This work is especially important as studies indicate that women faculty tend to take longer to advance through the ranks and face a greater risk of leaving academia. Terosky will remain a member of the research and evaluation team until the grant ends in 2015. On Monday, September 24, over 150 SJU alumni, faculty and staff gathered on the rooftop of the Franklin Institute for a sunset reception before touring the Dead Sea Scrolls exhibit. Arguably the greatest trove of ancient texts ever discovered, the Dead Sea Scrolls include the earliest copies of biblical materials that exist. They have transformed our understanding of the development of the Hebrew Bible, the history of early Judaism, and the origins of Christianity. Visitors were guided through the exhibit by faculty experts from the Department of Theology and Religious Studies and a guest alumnus. 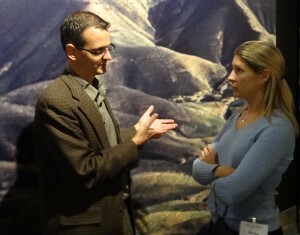 Dr. Allen Kerkeslager used the exhibit’s display of archaeological materials related to Israelite origins to illustrate the benefits of archaeology. These include providing an interdisciplinary forum for dialogue between the sciences and other academic fields; promoting a more critical approach to the agendas in written texts; and offering a window into the lives of ancient people marginalized in the literature of ancient elites, including the lower classes, women, and ethnic minorities. Dr. Bruce Wells explained how the Dead Sea Scrolls provide us with manuscripts of the Hebrew Bible that are about 1000 years older than the vast majority of manuscripts that had previously been available. Some of the manuscripts from the Dead Sea Scrolls match well with the later manuscripts, but many do not. For example, there is a version of Jeremiah among the Dead Sea Scrolls that is about 13% shorter than the version that most readers are familiar with. In addition, the height of Goliath, in the famous David-and-Goliath story, is three feet shorter (6′ 9″ instead of 9′ 9″) in the Dead Sea Scrolls. Visitors were welcomed into the room displaying actual Dead Sea Scrolls materials by Mr. Kevin Hensler ’09 and Dr. Philip Cunningham. Mr. Hensler, who majored in theology at SJU and is now a doctoral student in Semitic Languages and Cultures at the Catholic University of America, spoke about the Jewish community by the Dead Sea that collected and composed the scrolls. Dr. Cunningham, who directs SJU’s Institute for Jewish-Catholic Relations, described how the scrolls have contributed to understanding Christianity and Rabbinic Judaism as the branches of biblical Israel that adapted to the Roman destruction of the Land of Israel in 70 C.E. This special Hawk2Hawk event was co-sponsored by the College of Arts & Sciences, Alumni Relations, and the Institute for Jewish-Catholic Relations. The College of Arts & Sciences plans to hold similar events in the future. Dr. Konstantinos Nikoloutsos (Modern & Classical Languages) has been awarded the 2012-2013 Loeb Classical Library Foundation Fellowship from Harvard University. The Loeb is one of the most prestigious international, non-residential fellowships for classicists. The $4,000 grant will fund research he plans to do at the National Library of Buenos Aires next summer. The subject of Dr. Nikoloutsos’ research is an early 19th-century theatrical adaptation of Book 4 of Virgil’s Aeneid. The play is entitled Dido and is the first neoclassical tragedy written in Argentina and Latin America as a whole. Part of the project seeks to investigate the dissemination of Latin language and literature in South America by the Jesuits. The first results of his research will appear in the form of a chapter in his third edited volume, which has already been solicited for publication by two university presses. Dr. Nikoloutsos has been invited to give a talk on the subject, and chair a panel, at Yale University in November 2012.